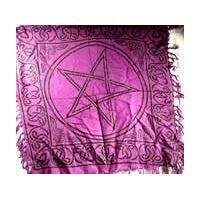 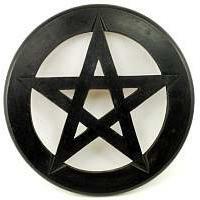 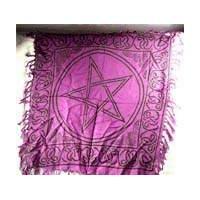 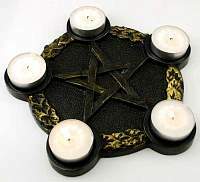 This beautiful pentagram wooden altar tile is a fine addition to any altar or sacred space. 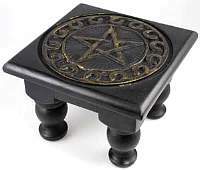 Standing a solid .75 inch thick, its top surface has been carved with an elaborate design featuring a pattern of Celtic knots and flowers surrounding the mystical symbol of a pentagram. 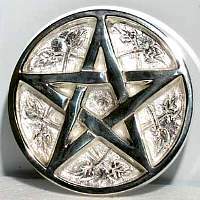 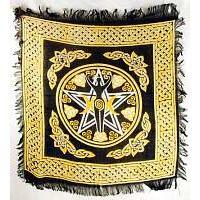 This powerful symbolism represents the four elements of Earth, Air, Fire and Water united by the eternal force of spirit, or divinity; a concept only driven home by the natural foliage and eternal Celtic knots that frame it. 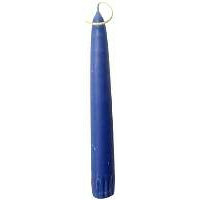 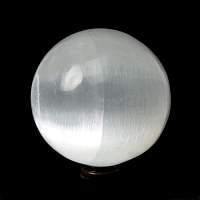 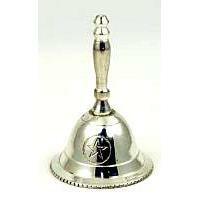 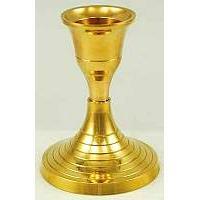 Measuring approximately 6 inch in diameter it can easily serve as a coaster for your incense burners and other such items or serve decoratively with its symbolic mysticism.